Empowering galleries around the world. 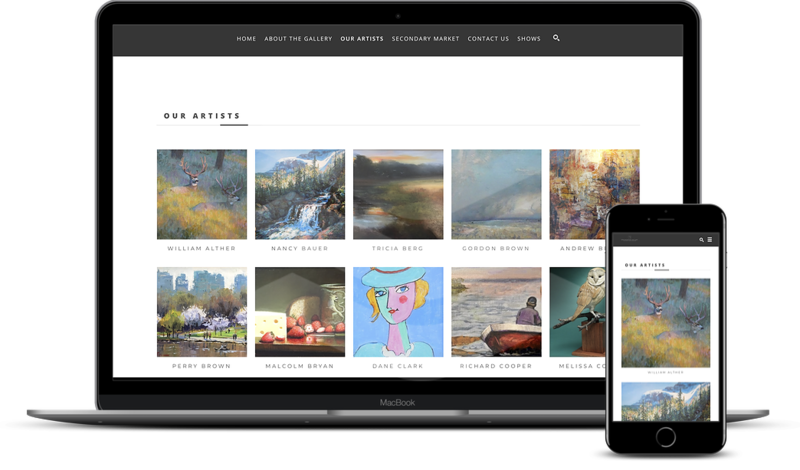 ArtCloud products help galleries streamline operations and sell more art. Do more with your inventory, client and sales data. 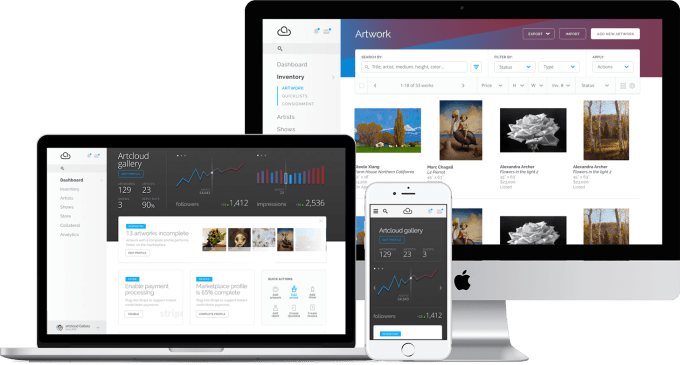 The backbone of your gallery’s operations, ArtCloud Manager saves you valuable time on everyday tasks. From sending tearsheets to tracking leads, built-in CRM and marketing tools keep your sales humming along. Drag-and-drop websites easy enough for anyone to use. Eliminate repetitive data entry and say goodbye to your web developer. Beautiful, customizable websites built according to best practices for SEO and discoverability. 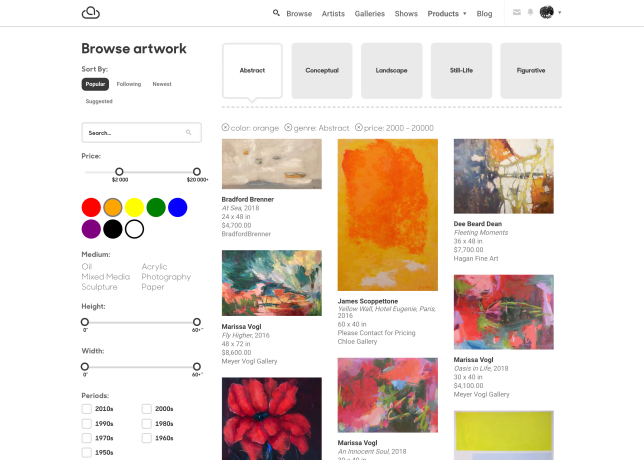 Marketplace tools that let clients buy and interact with art. A commission-free marketplace with visitors from around the world. Includes access to virtual installations and private viewing rooms to better engage your clients with gallery artwork. We know your time is too valuable to be spent on redundant tasks. ArtCloud's products leverage the power of data integration to simplify all aspects of your business. Whether you're printing wall tags or updating your website, you'll find it effortless. ArtCloud is a fantastic tool that just keeps getting better! Easy-to-use products are just the beginning. ArtCloud's dedicated support team is committed to ensuring everyone at your gallery feels comfortable using the platform. Very easy and intuitive interface. Amazing customer service. Lack of foot traffic in the gallery? Selling more art starts with a sophisticated online presence. ArtCloud Websites and Marketplace power your digital marketing strategy, giving your clients and prospects dynamic experiences with art. Easy to use and a pleasing online presentation.